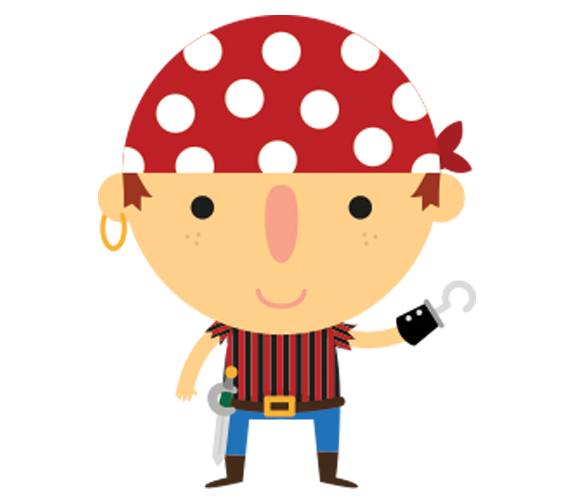 Give your little pirates the wonder and magic of puppets! With Optional Treasure Hunt! The Pirate Puppet Show is about 45 minutes long and features a Pirate Captain and lots of goofy and watery friends from the deep. Of course there’s a damsel in distress (but not too much) who turns out to be the hero of the show - all in search of hidden treasure on, where else - Treasure Island”. The kids are transformed into a roving band of pirates going from clue to clue in the wackiest treasure hunt this side of the Caribbean. Shiver Me Timbers! It’s a Kids Parties New York Pirate Theme Party! Give your little pirate the wonder and magic of puppets! Complete with Treasure Hunt! Children’s entertainment is important when you are planning a birthday party. You want a kids entertainer that is reliable, experienced, talented and affordable. Kids Parties New York is exactly what you are looking for. For over 20 years Ken & The Kids Party Puppets have been coming to homes bringing with them their unique, fun filled and totally interactive pirate puppet show. Perfect for kids ages 2-9 and any occasion where the are kids. The pirate puppet show is about 45 minutes long and features Pirates, a damsel in distress that needs rescuing and a host of goofy and wacky friends to help along the way – all in search of missing treasure hidden on, where else? Treasure Island! The puppeteer and the kids are transformed into eye patched adventurers and then begins the wackiest treasure hunt this side of the Caribbean!